For the 2018/2019 season, the Canadian Opera Company’s Ensemble Studio welcomes bass-baritone Joel Allison, mezzo-soprano Simona Genga, and sopranos Lauren Margison and Anna-Sophie Neher. The four singers join the Ensemble Studio in August 2018, and will hit the ground running in one of the most highly regarded training programs of its kind in North America. 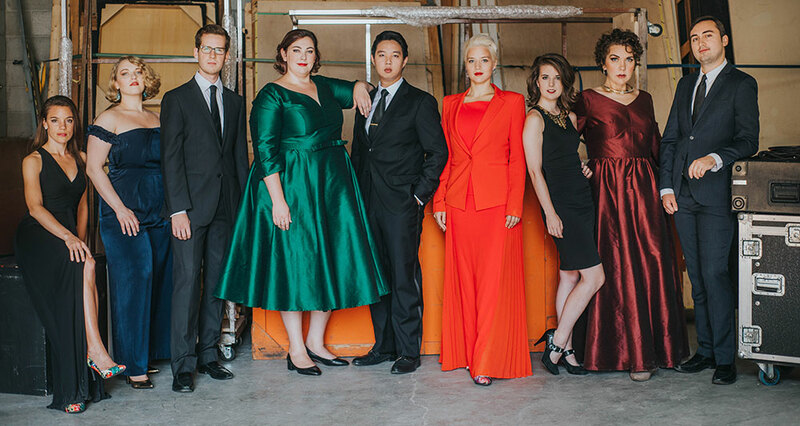 The four emerging artists will be joining returning baritone Samuel Chan, soprano Lauren Eberwein, mezzo-soprano Simone McIntosh, and pianists/intern coaches Rachael Kerr and Stéphane Mayer. Built around an individually-tailored, multi-year program, the newcomers will learn what it takes to pursue a professional operatic career through collaborative coaching, language and acting studies, career skills development, understudying and performing mainstage roles, and participating in masterclasses with internationally renowned opera professionals. Genga, Allison and Neher are no strangers to the COC stage—all three artists took home prizes in the 2017 Centre Stage: Ensemble Studio Competition. Genga took home the First Prize (the Chair’s Prize) and the Audience Choice Award, and Allison and Neher earned second and third prizes, respectively. Margison has been gaining practical performance experience as a member of Atelier Lyrique de l'Opéra de Montréal. 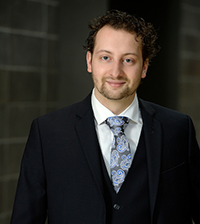 Joel Allison, from Ottawa, is currently finishing his Master of Music in opera performance at the University of Toronto (UofT) under the tutelage of Daniel Taylor and Wendy Nielsen. He has performed with ensembles such as the National Arts Centre Orchestra, National Academy Orchestra, Theatre of Early Music, Saskatoon Symphony, McGill Chamber Orchestra, and Tafelmusik Baroque Orchestra. His recent credits include Leporello in Don Giovanni and the title role in Imeneo (UofT Opera); Dr. Malatesta in Don Pasquale (Stratford Summer Music Festival); Adonis in Venus and Adonis (Seventeen Voyces Chamber Choir); Basilio in The Barber of Seville (Saskatoon Opera); Prince Gremin in Eugene Onegin (Opera Muskoka Festival); and Antonio in The Marriage of Figaro (Brott Music Festival). Simona Genga, from Vaughan, Ontario, won First Prize and the Audience Choice Award at the 2017 Ensemble Studio Competition and is currently pursuing a Master of Music in opera performance at the University of Toronto (UofT). She was also winner of the 2017 Norcop Recital Prize in Song. As a Gerdine Young Artist at Opera Theatre of Saint Louis, she appeared in the choruses for La clemenza di Tito, Madama Butterfly and The Grapes of Wrath, in which she also sang the role of the Cabin Mistress. She returns there this summer to sing Annina in La Traviata. Her additional credits include Nettie Fowler in Carousel (Chautauqua Voice Festival); Sister Helen in Dead Man Walking (Opera NUOVA); La Sciagurata in Prima Zombie and Juno in Orfée aux enfers (UofT Opera); Mistress Quickly in Falstaff and Teacup/Dragonfly/Squirrel in L’enfant et les sortilèges (UWOpera). 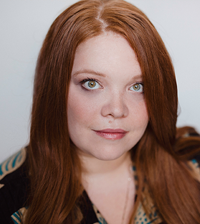 Toronto-born soprano Lauren Margison is a member of the Atelier Lyrique de l'Opéra de Montréal, where her roles have included Clorinda in La Cenerentola and Missia in Atelier Lyrique’s production of La Veuve joyeuse. She was the youngest finalist in the Meistersinger von Nürnberg competition and was also a finalist in the George London Foundation Competition. In the summer of 2017, she sang Micaëla in Carmen with the Brott Music Festival, Fiordiligi in Così fan tutte with Highlands Opera Studio, and appeared in concert with the PRISMA Festival in Strauss’s Four Last Songs. She has also been featured by the Cincinnati Pops Orchestra, the Toronto Jazz Festival, the Ottawa Chamber Music Festival, the Hannaford Street Silver Band, the Free Concert Series in the Richard Bradshaw Amphitheatre, and the Ottawa Choral Festival Gala. Gatineau, Quebec native Anna-Sophie Neher is currently pursuing her Master of Music degree at McGill University where she has recently won the prestigious Wirth Vocal Prize. She has also studied at Bard College and the Montreal Conservatory. 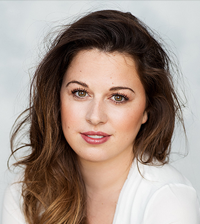 Winner of First Prize at the 2017 OSM Manulife Competition, her operatic credits include Adele in Die Fledermaus (Opera McGill); Pamina in The Magic Flute (Bard College); Belinda in Dido and Aeneas (Montreal Conservatory of Music); and Barbarina in The Marriage of Figaro (Orford Music Festival). She has also appeared as a soloist with Clavecin en Concert, Montreal Bach Festival, Orchestre symphonique de Gatineau, Festival Despax and Festival Lanaudière. Future engagements include Blanche in Dialogues des Carmélites with Opera McGill. Recognized as Canada’s premier training program for opera professionals, the COC Ensemble Studio has successfully launched the careers of over 230 Canadian singers, opera coaches, mainstage directors and conductors since 1980. Graduates include Ben Heppner, Isabel Bayrakdarian, John Fanning, Wendy Nielsen, Joseph Kaiser, David Pomeroy, Allyson McHardy, and Krisztina Szabó. 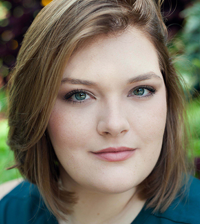 Graduating from the Ensemble Studio in May 2018 are sopranos Danika Lorèn and Samantha Pickett, mezzo-soprano Megan Quick, and baritone Bruno Roy. Audiences will have the opportunity to see these artists perform before their graduation in An Evening with the Ensemble. COC Music Director Johannes Debus and the COC Orchestra will accompany the singers in a program of Mozart and Handel, in the R. Fraser Elliott Hall of the Four Seasons Centre for the Performing Arts on May 25, 2018. For more information on the Ensemble Studio’s upcoming season, visit the Ensemble Studio page on learn.coc.ca. Photos: Banner - 2017/2018 Ensemble Studio members. Photo: Gaetz Photography.